Since 1978, the North Carolina Foundation for Alcohol and Drug Studies (NCFADS) has been providing excellence in addiction training since it was chartered as a private non-profit. NCFADS Winter & Summer Schools have educated over 18,000 participants in its long and illustrious history. NCFADS continues to bring in talented faculty from across the country to provide state of the art training at the annual Winter and Summer Schools. The NC Foundation for Alcohol & Drug Studies will be hosting the 2019 Winter School at the Embassy Suites in Greensboro, NC. Registration opens November 1st. Scholarship application period open October 1-31st. Click here to apply. 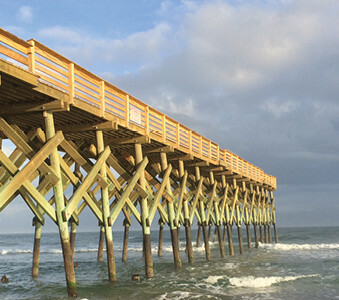 The NC Foundation for Alcohol & Drug Studies will be hosting the 2019 Summer School at the University of North Carolina at Wilmington (UNCW). The university features a beautiful, spacious campus, modern facilities, and a commitment by the Division for Public Service and Continuing Studies staff to provide excellent service and an atmosphere conducive to the needs of School participants and faculty. To Be Announced… Coming Soon. As part of our commitment to the professionals serving substance use populations, NCFADS is committed to awarding scholarships for each Winter and Summer School. Winter School Scholarship application period is October 1st – October 31st. Summer School scholarship application period is April 1st – April 30th. Click here to learn more about the scholarship application process. Don’t Miss Out on Scholarships!